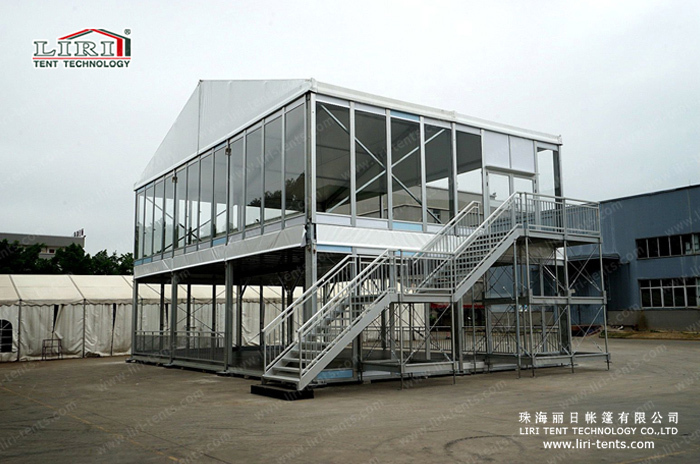 Liri double decker tent is famous in the world, we win a lot of reputation on the international event, such as PGA in Sweden, Longines equestrian event and so on. Our garden double decker tent is a new upgrade design in our double decker tent series. This garden double decker tent can be in different shape, arcum, curve and A-frame, also for its size, its width can be available from 3m to 60m and its length is no limit, custom design for all kind of request. 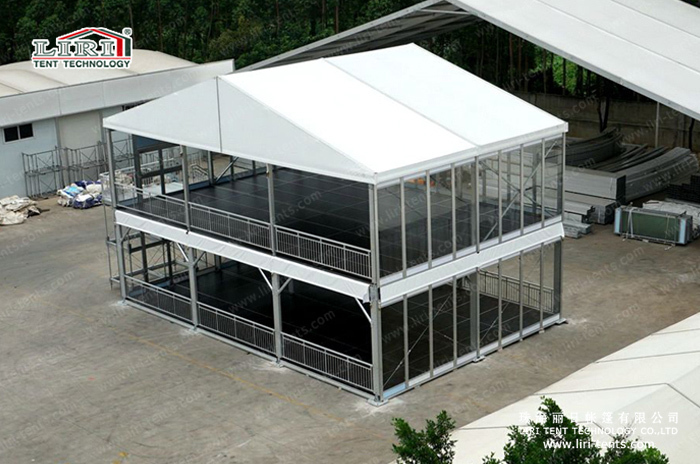 Also this tent is a good option to use luxury accessories, glass sidewall, wooden flooring, and so on. We can offer client and guess a impressed event, wedding party. Garden double decker tent is 200% full use on area space, the first floor can hold a normal wedding event and second floor can be used for VIP party. Special design for your wonderful wedding party. This entry was posted in Event Marquee Tent Sale, Product and tagged Double Decker Tent, wedding party tent. Bookmark the permalink.